USB-C Trend: Rebel Corp predicts increased use of accessories market as more manufactures include USB-C ports to computers, laptops, mobile devices, and smart phones. 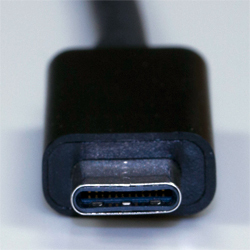 The last significant update to the consistently advancing USB standard came in 2013 with USB 3.1, and that was accompanied by the introduction of a new USB-C connector design. The USB-C is a 24-pin USB connector system allowing transport of data and power. USB-C is all about the physical connection, like with microUSB and miniUSB. Unlike previous generations of USB design, the USB Type-C was designed to be reversible. This means that you no longer need to look at your cable end and the port to ensure that you do not have it upside-down; you can insert either way! More computers and mobile devices are finally starting to incorporate the high-speed reversible ports in their manufacturing. Apple and Google were early adopters. Apple added only USB Type-C ports to the latest MacBook and MacBook Pro designs, as did Google with its Chromebook. People who purchase new computers and devices that are equipped with the USB-C are finding a need to connect their older peripherals (storage, display, HDMI, etc.). As a result, there is a trend for accessories that enable connections to Type-C for the transfer of video, data and power. It is anticipated that more computer manufacturers will be incorporating USB-C into their designs; it is preferred, since there will be a decrease in need for other connector ports to consumer valuable real estate. Thus, we see the need for accessories to connect older peripherals is a USB-C trend. 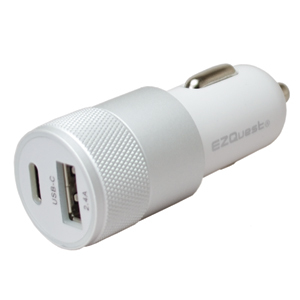 There are 5 different USB power profiles, each delivering a different amount of power: 10W, 18W, 36W, 60W or 100W. Your device dictates the profile your USB-C devices require and allow. It’s not a setting you can change. Jason Mayoral has been actively involved in SEO and Internet marketing since 1999. 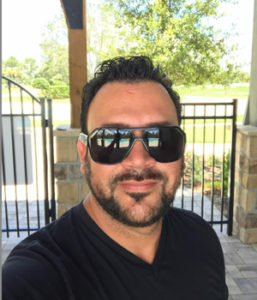 Jason’s knowledge and experience have made him one of the most respected and referenced SEO’s in the industry and his passion for innovation and growth has led his company, https://rebelCorp.us , to become one of the world’s leading online marketing firms. *Disclaimer: EZQuest, Inc. provides opportunities for guest writers. Guest articles do not equate EZQuest’s endorsement of their products or services.